The Ireland market demands a boiler stove …. and here it is a truly functional stove capable of a whole house heating solution with the unmistakable spirit and style of Morsø. Capable of 9kW to water and 6kW to the room the DB15 is a DEFRA approved stove suitable for use in smoke control areas. Within its elementary steel exterior lies a primary and secondary combustion chamber designed to operate at temperatures exceeding 1000°C. 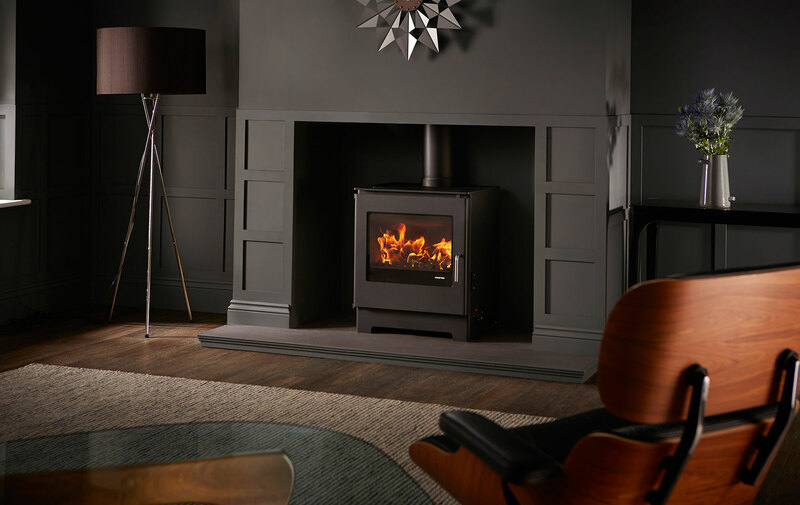 This stove boasts remarkable clean burning and high efficiency rarely achieved in a boiler stove. To receive more technical information please see the Morsø UK website.